The opportunity cost of falling behind in analytics capability is high. Businesses that fail to focus on effective information management, analytics and reporting will be left behind. However, a world-class data and reporting capability is costly to build and requires specialised skills and infrastructure. The industry rate of project failure is high for this type of initiative. There is a growing distrust of IT delivery, with an accompanying erosion of partnership with business sponsors. Traditional approaches to building advanced analytics and reporting capability have led to high cost of change, slow time to market, accumulation of technical debt and deteriorating data quality. Firms are often left with systems that don't perform, are slow to change and are accompanied by expensive IT team and infrastructure costs. Data management, analytics and reporting software is also continually being updated. It is a challenge for firms to keep up to date with the latest developments. Kinaesis Clarity Analytics takes away the overhead of building a world class data management, analytics and reporting platform. By using Kinaesis Clarity Analytics firms can accelerate implementation of reporting capabilities at a substantially reduced cost compared to building their own platform. Kinaesis Clarity Analytics provides you with a hosted visual analytics platform to support your reporting and analytical needs through a variety of mobile or static devices. User friendly analytical schemas allow users to visualise their data anywhere. Advanced self-service reporting and analysis capabilities, eliminate the need for specialist IT skills to deliver bespoke requirements. All delivered in a scalable, highly secure service model through our partner Consolidata..
Kinaesis Clarity Analytics provides an agile framework to load data and turn it into analytical schemas. This makes the loading of new data a straightforward mapping exercise within our metadata driven processor. Our team of experts are able to map your analytical needs onto models that can support your reporting requirements. Kinaesis Clarity Analytics leverages the latest visualisation tools to deliver high performance, intuitive reporting. Definition of user definable KPIs supporting more effective business monitoring of Risk, Exposure, Performance and Compliance. Automated Reconciliation with internal systems and data sources. Reduction of checking and maintenance of data quality through inbuilt Master Data Management. User friendly analytical schemas allow users to analyse data quickly and build powerful visualisation, eliminating the need for specialist IT skills to deliver bespoke requirements. Increase reporting coverage with the minimum additional effort around data loading, processing and reporting. Scalable hosted solution delivers additional processing capability on-demand, to meet growth in business complexity and scale. Internal platforms, enterprise management applications and external data sources can be easily integrated into the Kinaesis Clarity Analytics platform. We have partnered with Consolidata to build a fully hosted, flexible data management and analytics platform. 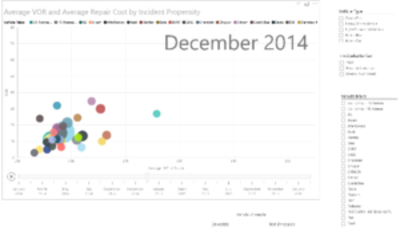 This advanced analytics and reporting capability is made available as a Managed Service. The platform provides scalability to increase data coverage with the minimum possible additional effort around data loading, processing and reporting. Data quality checks are built in. All data is prepared, conformed to a consistent model and made available to end users in a straightforward analytical model that supports self-service reporting. Historical data is held to allow online Trend Analysis. 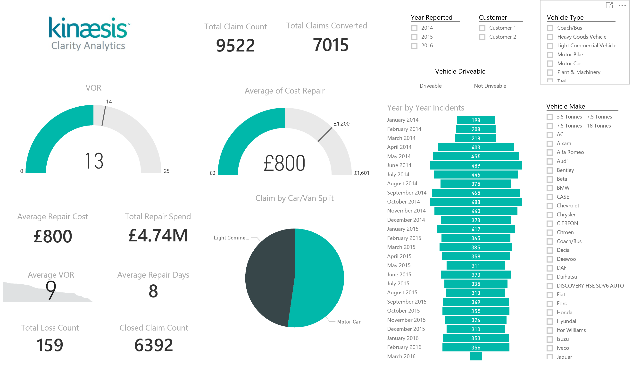 Microsoft Power BI provides a rich, intuitive analytical front end. All this is delivered in a scalable highly secure service model. Kinaesis Clarity Analytics takes away the overhead and the risk of building a world class data management, analytics and reporting platform. By using Kinaesis Clarity Analytics firms can accelerate implementation of reporting capabilities at a substantially reduced cost compared to building their own platform.